George and the Garden Route have a lovely climate, moderately hot summers and mild winters – enjoy a peaceful retreat during winter or a fun-filled summer holiday. Small town and country atmosphere, peace and tranquillity, nestled in a rich valley surrounded by the Outeniqua Mountains, forests, rivers and the sea – ideally situated in the Garden Route to explore diverse scenic wonders. All the destinations that George and the Garden Route have to offer can be found just a day trip away from our self-catering accommodation. T&C’s apply, enquire now for more details. We have 20 comfortably appointed newly built two bedroom self-catering accommodation chalets which can sleep up to 6. The self-catering accommodation features include a large living area, dining nook, comfortable furnishings, private deck with braai, and dstv. We also have 6 spacious open plan self-catering accommodation chalets which sleep up to 3/4, also with dining nook, dstv and deck with private braai facilities. All chalets have their own bathrooms and fully equipped kitchens. Our 126 campsites are shaded and grassed with 220V power points. Scullery and laundry facilities available. The ablution facilities provide clean showers and baths. The park provides 16 private ablution blocks all with own kitchenette and bathroom. George Country Resort offers 4 self-catering backpackers units. They are equipped with electricity, crockery, cutlery and cupboards. The self-catering accommodation features include a large living area, dining nook, comfortable furnishings, private deck with braai, and dstv. We also have 6 spacious open plan self-catering accommodation chalets which sleep up to 3/4, also with dining nook, dstv and deck with private braai facilities. All chalets have their own bathrooms and fully equipped kitchens. Very pleasant caravan park with well kept facilities and friendly, efficient staff. Prices quite acceptable. The George Country Resort’s self-catering accommodation and camping in the Garden Route is just off the N2 and therefore easy to locate. We are situated 7km from the George CBD. Mossel Bay is a mere 50km away, Victoria Bay only 3.7km and Wilderness 7km. For shopping, movies and dining the Garden Route Mall is just 2km down the road. Looking for a family holiday, quiet weekend getaway or travelling on business? 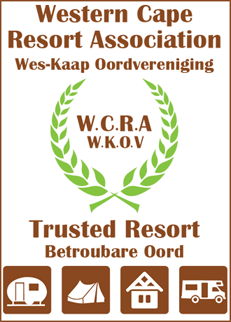 Looking for self-catering accommodation in the Garden Route George or camping accommodation in the Garden Route George? Look no further than George Country Resort! It is situated in the capital of the Garden Route, halfway between Cape Town and Port Elizabeth.